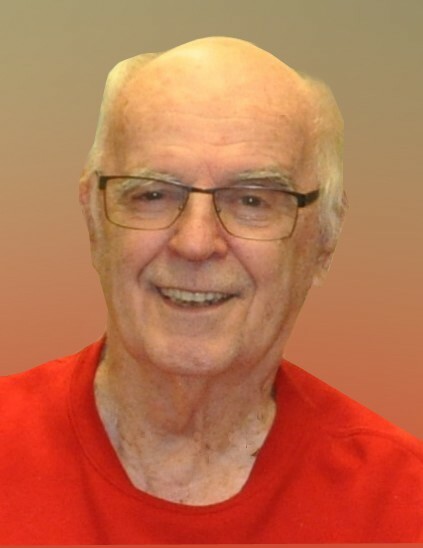 Harold David “Dave” Malone, 84, of Manchester, Iowa, died on Friday, March 22, 2019, at the Good Neighbor Home in Manchester. He was born October 9, 1934, in Manchester to Harold and Josephine (Lamphiear) Malone, and was baptized at St. Mary Catholic Church. He attended school in Manchester, graduating in 1952 and then went to Coyne Electronics School in Chicago, where he graduated in 1954. Dave went to work as an electrical technician for Allen and Appleby in Manchester. He served in the military during the Korean conflict and was honorably discharged in 1957. Following his discharge, he attended AIB in Des Moines to study computer programing and graduated in 1959. He was then employed at Collins Radio as a computer programmer before working for Network Data Processing in Cedar Rapids as Vice President of Computer Programing and Operations until 1971. During this time, Dave also owned a small grocery store/Sinclair gas station in Manchester called “Dave’s Store” and was a city inspector in Manchester for two years. In 1973, Dave moved to Waterloo to attend Hawkeye Technical College, graduating with a degree in electrical engineering. He was Director of Computer Programming and Operations for Blackhawk County and the city of Waterloo from 1976 to 1981. He then moved to St. Cloud, Minnesota, and attended St. Cloud State University and the University of Minnesota, majoring in computer science. He taught computer science at St. Cloud Technical College and St. Cloud State College. Dave had many hobbies over the years. He enjoyed cars, motorcycles, model airplanes, boats, fishing, and hunting. His most enduring hobby for 60 years was singing and playing country/western music on his guitars. He enjoyed playing for family and residents of the area nursing homes in St. Cloud. Dave had been a member of the American Legion, Knights of Columbus, Eagles, the 504th Army Veterans Association, American Model Airplane Association, and the Motorcycle Riders of America Association. Dave was preceded in death by his father, Harold; his mother, Josephine; a brother-in-law, Ed Schleder; and his wives, Sara, Betty, and Rena.